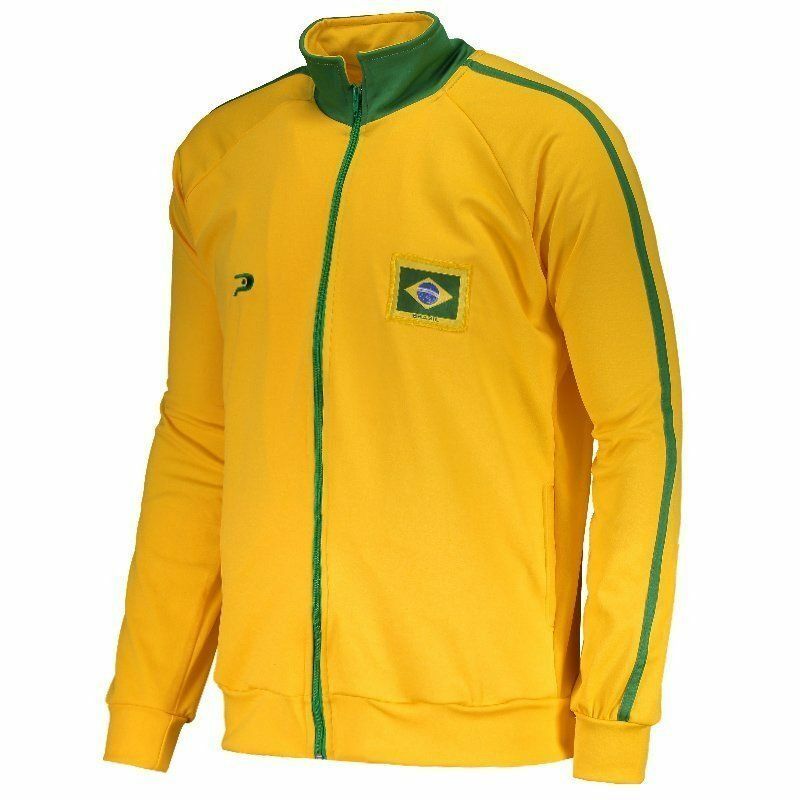 Made by Placar, the Brazil Jacket is a great option for fans to show their love even on the days of low temperature. The piece is made of lightweight polyester, presenting fabric capable of warming the body. 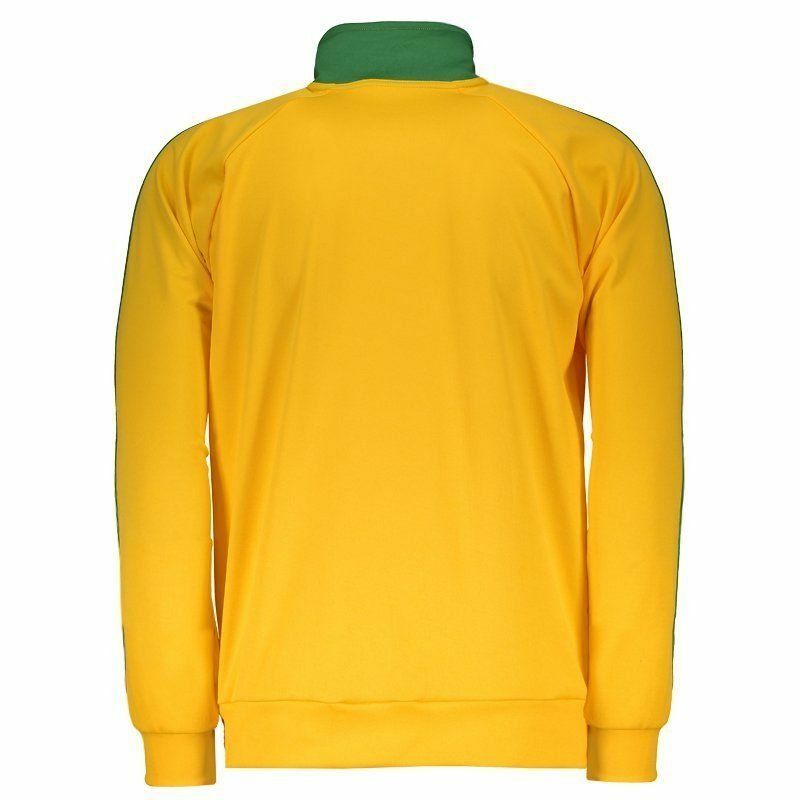 The design is yellow color with green details. More info. 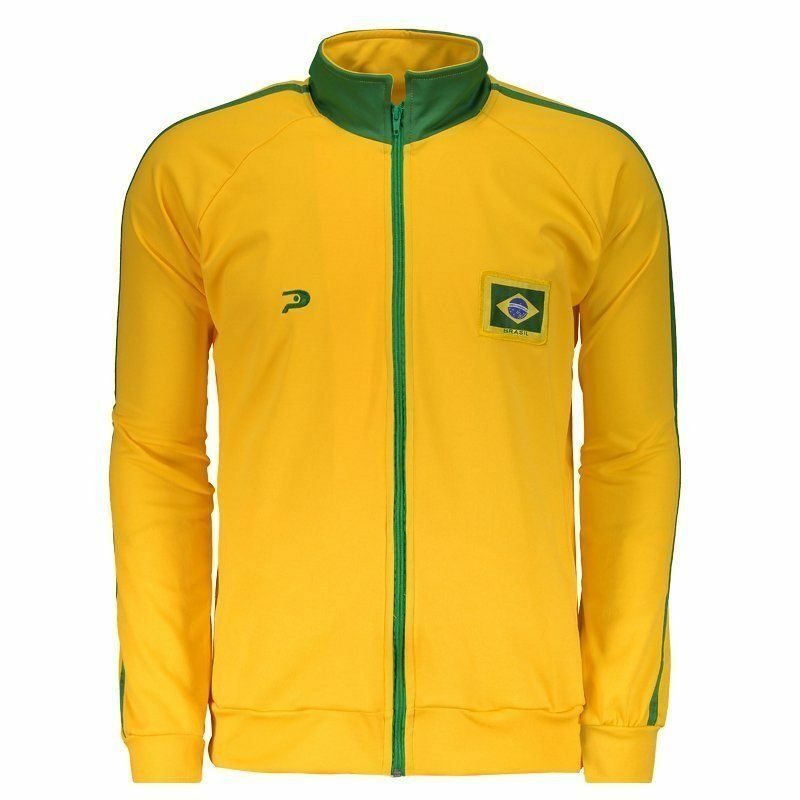 Made by Placar, the Brazil Jacket is a great option for fans to show their love even on the days of low temperature. The piece is made of lightweight polyester, presenting fabric capable of warming the body. 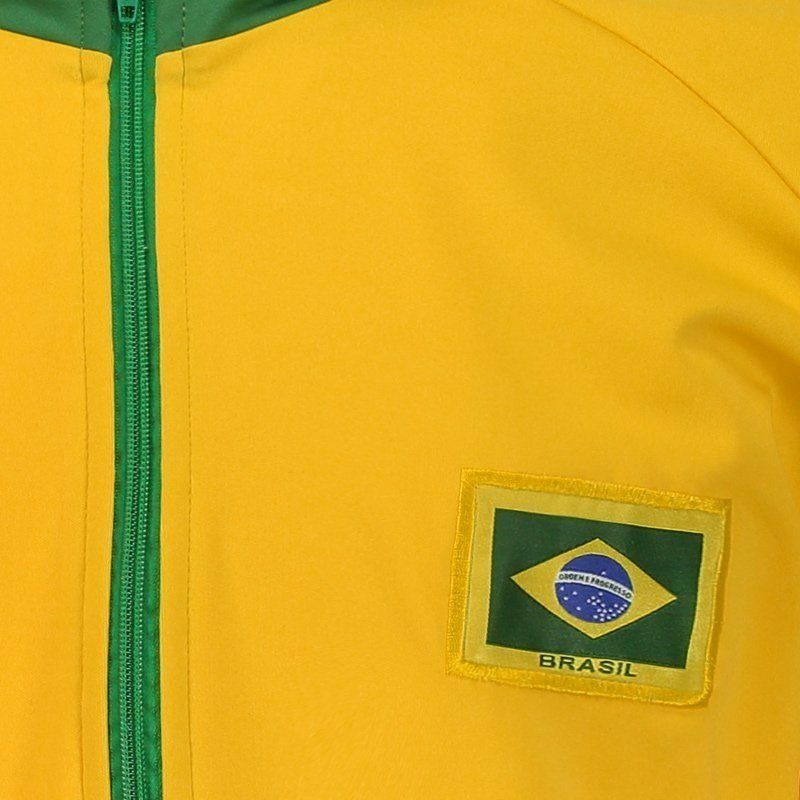 The design is composed of the yellow color with green details, besides the brazilian flag embroidered on the chest, as well as the logo of the brand. In addition, its collar is high and its opening/closing is made with zipper, providing greater practicality at the time of dressing. The piece also features two side zippered pockets, ideals for accommodating small objects or warming hands. Finally, the sleeve cuffs and bar feature a fluted finish, offering great fit to the body. Get it now!